Some of the simplest things make the nicest photos. This is probably my favorite thing about macro photography. Okay, this is it! The final part of my mini-series on macro and close-up photography. I haven’t explained step by step how exactly to do macro photography, but I hope you’ve gotten enough tips to be confident getting started, and that the more advanced photographers among you have gotten something out of it as well. An organ pipe cactus once it’s dead turns into a sort of honeycombed sculpture. A tripod that can get close to the ground is probably the most important thing to have with macro. If your tripod has a center column, removing it can get you much lower. Some tripods have the ability to rotate the center column to a horizontal position, which allows you to put the camera pretty much at ground level. My Manfrotto does just this. A flash can fill shadows nicely, but you either need a specialized flash called a ring flash, or have a synch cord or other way to move a standard flash unit off the camera. A camera with a built-in flash really doesn’t work; subjects are too close. Same goes for mounting the flash on your camera’s hotshoe. If the sun is bright and somewhat harsh, a portable diffuser is very worthwhile having. You don’t need a super-big one because of the size of your subjects. One that spreads to a diameter of about two feet or a bit more is perfect. They fold up into a flat bag that can be clipped to the outside of your camera pack. Get the diffuser as close to your subject as possible without it being in your shot (use a tripod plus LiveView). A small reflector is nice to have as well, sometimes in combination with the diffuser. You can reflect sunlight to fill shadows on the back side of your subject. 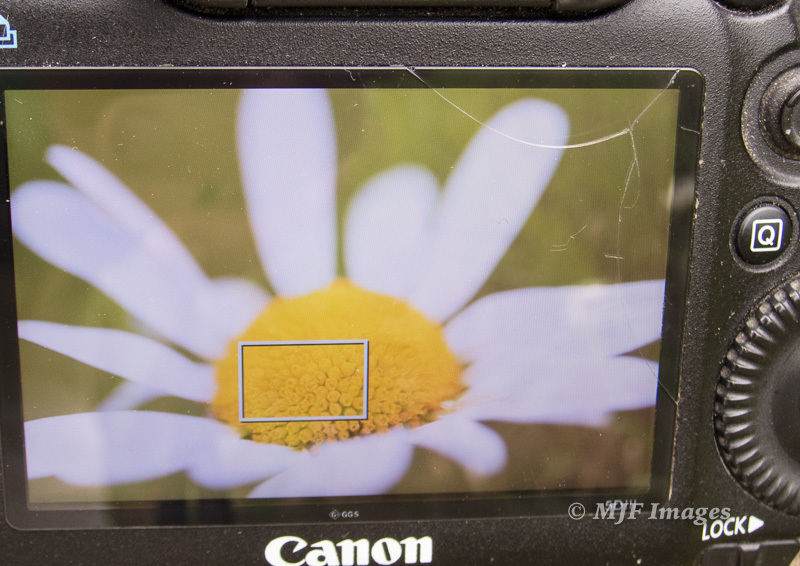 I’ve recommended this before, but Canon’s 500D close-up filter is a great accessory to carry. If you don’t have a macro lens, it can get you close-up without the weight and cost of an extra lens. It can’t get you as large a magnification as a true macro lens can. But when you have one of these plus a macro lens, you can screw it on to the end of the macro lens and really crank up the magnification. A caution: you also narrow depth of field even more. A set of extension tubes can also stand in for a macro lens, but it’s been my experience that the quality suffers a tad more than using a quality close-up filter (and the only real quality one I know about is the Canon mentioned above). This is counter-intuitive since with a close-up filter you’re adding glass between the subject and your sensor, whereas extension tubes are hollow. But tubes do move your lens further from the sensor, affecting focus as well as the way that light strikes the sensor. I consider them a little less user friendly than close-up filters too. This is one of my favorite close-ups of mine. Shot w/macro lens but hand-held while on XC skis in Oregon’s Cascade Mtns. A rail is good if you want to really get close and you’re doing a lot of macro. Rails attach to your tripod head and allow you to move the camera using small, gradual movements. It avoids clumsily trying to move your tripod a quarter inch here or there, easing the whole process of attaining precise focus. A drawback: it’s one extra piece of equipment, and some rails are not exactly small. I have one but don’t use it as much as I probably should. Genuine macro enthusiasts can’t live without them, especially those who have macro lenses that can attain greater than 100% magnification. NOTE: In a couple days I will post a follow-up where I show exactly how to use a rail in the field. Have a wonderful weekend and happy shooting! Not the usual sunset. I was recently in the neighborhood so stopped for a brief visit at Carlsbad Caverns. This is King’s Chamber. Butterflies are notoriously difficult to catch still, so I shot this one off-tripod and using autofocus. It’s time to dive into the nuts and bolts of this subject. I mentioned in Part II that depth of field and focus were major challenges when doing macro & close-up photography. So this post will focus on these two inter-related issues, using a few examples. The closer you get to your subject, the shallower your depth of field will be. If you stop down to small apertures your depth of field will increase accordingly. But that will slow your shutter speed, blurring anything that is moving even slightly. It will also bring your background into better focus, which may not be what you want. But you can go beyond simply adjusting aperture. You can choose a point of view and composition that puts the background at the right distance to blur it in the amount you want (see examples below). Also, depending on the shape of your subject, camera position will directly affect how much of it is in focus. Positioning your camera becomes a key way to control depth of field and focus, even more so than in other types of photography. These aren’t fruit but ‘galls’ on an oak tree in Arizona’s Chiricahua Mountains. 100 mm., 1/5 sec. @ f/10, ISO 100, tripod. Example 1: Recently, while in Organ Pipe Cactus National Monument, Arizona, I found the teddy-bear cholla cactus flowering with beautiful blooms. I wanted to show off both the color and the “guts” of the flower (its pistils & stamens), while at the same time giving a feel for the protecting spines all around. Flowers like this have some depth to them; they’re not flat-faced. So it’s tough to get close and still have all the petals plus the central reproductive parts all in focus. So I positioned the camera at a sort of 3/4 angle to the face of the flower, so as to get the much of the central part in focus plus a few of the petals. I raised the tripod so it was slightly above the flower, so that a collection of cactus spines were at the right distance behind the bloom. I wanted them blurred but not too much. The piece of blue sky beyond was a bonus, so I adjusted a bit so that it was to the side of the flower instead of right behind it. My point of focus was on the part that was closest to my lens. I had to raise ISO a bit so my shutter speed was fast enough to not allow the little breeze from blurring the flower. Blooming cholla, southern Arizona. 100 mm. macro lens, 1/160 sec. @ f/8, ISO 400. Example 2: In the flower below, I thought the long hairy portion was very cool, so I shot from the side to get all of that in focus. I experimented with different apertures to get most of the bloom in focus while totally blurring the background (to put attention on the flower). I also positioned the camera very close to the ground to put the background as far away as possible. The wind again made me raise ISO to get a faster shutter speed. These flowers were blooming recently in the Chiricahua Mountains. 100 mm., 1/200 sec. @ f/11, ISO 800, tripod. Example 3: With the bee below I had to decide whether getting all the flower, including its petals, in focus was as important as a focused bee and blurry background. Since I was shooting a living subject, shutter speed needed to be fairly fast, and that naturally led to a larger aperture (which gave me the blurred background). Would it be better if the front petals were in focus too? Sure. But other than taking several exposures and combining them, there was no practical way to do that. I go for simple over complex most of the time, even if it means trade-offs. By the way, I got lucky with that shutter speed of 1/60 sec. Normally you’d need something faster in this situation, especially hand-held. This bee is going to town on a cholla bloom at Organ Pipe, Arizona. 100 mm., 1/60 sec. @ f/5.6, ISO 200. So here’s the deal: think of moving the camera closer and further away from your subject as a way to control depth of field and the degree of blurring in your background. And think of moving your camera into different positions around the subject (side to side, low or high) as a way to not only get a more blurred background, but also to bring different parts of the subject into focus. Next time we’ll go into some interesting ways to use macro and close-up photography in combination with other goals. I promise it will be something you just don’t see other photography teachers covering. Happy shooting! A larger view of my recent wanderings in the southern Arizona desert at Organ Pipe Cactus N.M. This is Ajo Mountain drive, which in late summer is just too hot for most people, thus it was blessedly empty. Alpine gentian growing at over 12,000 feet in elevation, Rocky Mountain National Park, Colorado. Composition is still king. Just as with all photography, paying attention to everything in the frame – how it’s arranged and what can be excluded to help simplify things – is the pathway to success. Look for interesting stuff. I know, duh! With macro, keeping an eye out for small bits of color, or really anything that stands out, will help you to zoom in (crouching or on your hands and knees) to find fascinating details that weren’t noticeable from afar. Keep an eye out for small movements in your vision’s periphery; it could lead to cool little critters. Patience is even more important than usual. With flowers, waiting for the breeze to pause can have even the shy among us cursing like sailors. Get the picture set up and use LiveView with focus set, then wait for the perfect moment to trip the shutter. Try using burst mode; one of the images in the burst sequence will usually be in focus. This pretty lily blooms in very dry, desolate desert areas of southern New Mexico during late summer monsoons. The wind was trying to keep me from getting the shot. Depth of field will be a challenge. Macro lenses have an innately narrow depth of field. And don’t expect close-up filters or extension tubes to do much better in that regard. Specific techniques for dealing with this are coming in the next post. The caterpillar below, who was moving surprisingly quickly, I shot hand-held, with fairly shallow depth of field and fast shutter speed. The fungus below that was stock still on a dark background, so I was able to shoot from the tripod with small aperture (for good depth of field), not worrying about having to blur the background. Shallow depth of field meant that I couldn’t get all of this caterpillar in focus, so I focused on his head. A strange fungus grows on a charred pine tree in the high country along the Arizona-New Mexico border. A tripod is usually necessary. With subjects that don’t move, or with flowers & other things that move back and forth (in the breeze), a tripod is really a no-brainer. In low light a tripod is even more critical. But even when light is bright and shutter speed is faster, a tripod results in more keepers. On the other hand, with fast-moving critters, a tripod may be more of a hindrance. Last point on tripods: never avoid a macro opportunity just because you don’t have a tripod with you. It’s still worth it, though your skills and patience will certainly be tested. Western fence lizard, El Malpais, New Mexico. Hand-held and autofocus allowed me to catch him before he scampered off. Focus is a pretty big deal. You’ll find yourself using manual focus (with or without LiveView) much more often than usual. It allows much more precise adjustment, especially when using LiveView. With critters and other subjects that move, autofocus may be best. Next time we’ll go more into how camera position directly affects both your selective focus and depth of field. Work that subject! Just as with landscapes, portraits and other kinds of image-making, moving around and changing point of view, getting shots from several different distances, and in general trying to exhaust all possibilities is the way to go. Not only will it increase your chances for more good images, it will also help greatly to tell a story about the subject. Related to the above point, try not to obsess about getting as close as possible. While filling the frame can certainly be effective, it’s just one way of showing your subject. Just as wildlife photography dominated by close-ups cries out for a few shots showing the animal’s surroundings, macro and close-up photography needs to mix in wider views to show context and help tell the whole story. Although this butterfly is so beautiful it’s tempting to fill the frame, stepping back to show the purple flowers it was alighting on results in an image that communicates more. Find good light. Golden hour, with the sun very low, is not just a good time for larger landscapes. It can also result in dramatic macro and close-up images. But bright sunlight also presents problems of contrast, and the higher the sun goes the harsher the light. Next time we’ll look at ways to mitigate these issues. A high overcast sky, with flat, even light, is good for illuminating all parts of your subject equally. That’s it for now. I’m about to cross the border into Mexico for a short visit and a dip in the Sea of Cortez. Have a super weekend and happy shooting! And now for a non-macro: sunset over the Bighorn Mountains, Wyoming. The morning’s first light hits a blooming balsamroot in the Columbia River Gorge, Oregon. I’ve been doing more macro and close-up photography lately. It’s something I’ve always loved. The details of the natural world just fascinate me. I like small critters. Some of them are so feisty! And I love wildflowers! Yes I know I don’t look the part, but why can’t a big ugly guy like to play in a field of flowers? I think I also like the challenge of macro. All that bending and stooping kills my back. The wind blowing flowers around frustrates the heck out of me. Butterflies flying off just as I’m about to press the shutter button. Things like this are what I live for! Blooming mule’s ear is covered with dew in a southern Rocky Mountain meadow. So I thought I’d do a few posts on it, starting this week. A caveat: I’m not trying to be exhaustive or complete. To explain all the things you need to think about and do while getting close with your camera would take an entire book! First off, is there a difference between macro and close-up photography? Though the answer to that is yes, you really don’t have to worry about it. Essentially, true macro is done very close to your subject and with high magnification. Generally it uses a dedicated macro lens. Close-up photography comes in when you move a bit further away, with less magnification. It can be done with extension tubes, close-up filters, or while using the macro settings on some lenses. A caterpillar cruises along looking for his lunch. 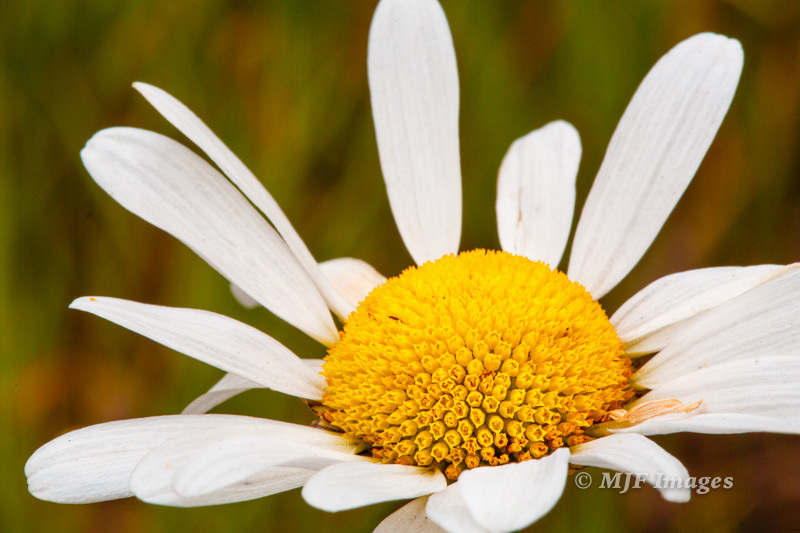 Why do macro and close-up photography? It’s fun! You can spend hours in that “flow” state where you lose track of time. Afterwards you have that pleasant and incongruous feeling of having worked hard, but you feel strangely refreshed. This is a great way to shake things up, to break out of creativity ruts. Awhile back I did a post on ways to keep your photography fresh. Close-up photography teaches observation skills. When you’re always on the lookout for macro opportunities, you naturally start looking low as well as at eye level, you shift your focus close as well as far, you think small- as well as large-scale. The spectacularly whorled and lichen crusted wood of a juniper tree in New Mexico. You don’t need perfect light for this. Yay! While light is still an issue, as it always is in photography, with macro you can afford to be much less rigid about what light is acceptable, especially when compared to traditional landscape photography. You get a deeper and more complete appreciation for nature doing macro & close-up. I often want to take those fellow photographers aside and show them this other world that they’re walking right over on the way to yet another traditional large landscape. That’s it for now. Next week we’ll dive into all the tips and techniques for successful close-up and macro photography. Have a spectacular weekend! Mount Hood, Oregon, at sunset.